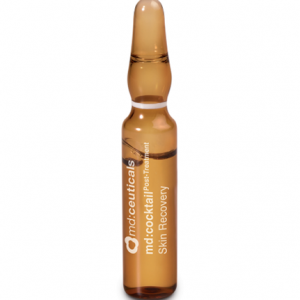 Extreme cellular renovation for a perfect skin. With the passing of time, skin cells lose the capacity to perform their functions correctly, slowing down the process of cell renewal. 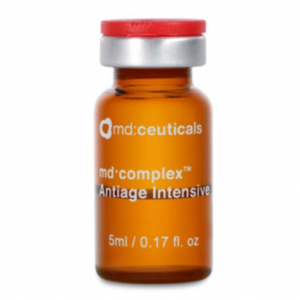 The reduction of fibroblasts’ activity in the synthesis of collagen and elastin, causes the appearance of wrinkles and flaccidity, losing the skin its natural hydration, density and luminosity. Formulated with Vegetable Stem Cells and Epidermal Growth Factors, X:treme Skin Renewal activates the mechanism of cell self-repair, protecting cells’ life and repairing the skin from inside. 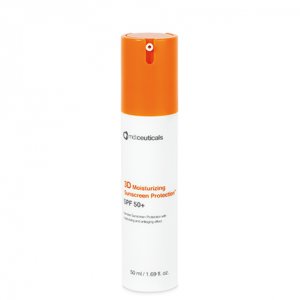 Active principles are presented encapsulated in liposomes that favour the penetration in deep skin layers to improve results. 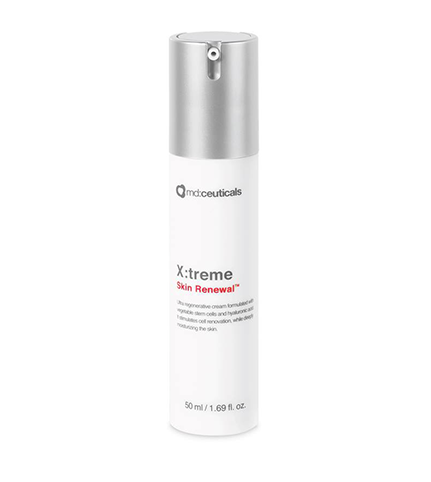 X:treme Skin Renewal is an innovative formulation with antioxidant, moisturizing an restructuring active principles, and provides with an important ultra repairing power that reactivates cellular activity. 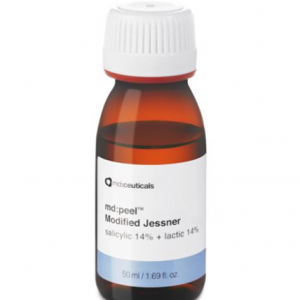 It restores lipids from the hydrolipidic mantle, giving high levels of hydration, nourishment and firmness. Vegetable Stem Cells are capable of protecting and efficiently reactivating our own epidermal stem cells, stimulating the activity of fibroblasts and keratinocytes in the production of collagen and elastin, that will strengthen conjunctive tissue structure, improving skin texture and quality. Hyaluronic Acid is a natural component of skin tissue with the unique ability to retain 1000 times its weight in water. 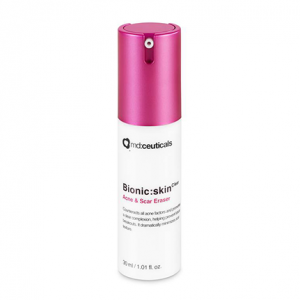 This feature allows Hyaluronic Acid to provide the cells with a deep hydrating and lubricating activity, promoting a plumping effect. 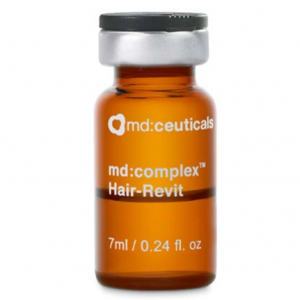 It restructures collagen fibers, increasing skin elasticity while eliminating the wrinkles. 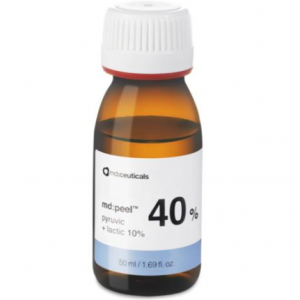 Indispensable after a depigmentant professional treatment, peel, micro-needling and laser; where the skin needs to recover its hydration level through an intensive renewal that gives back its elasticity and smoothness. Pyruvic Acid is an a-keto acid present in honey, vinegar, apples and fermented fruits. 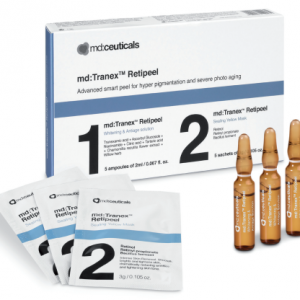 It diminishes the cohesion of epidermal keratinocutes, facilitating desquamation and preventing from the thickening of the upper layers of the epidermis.